Every aspect of this officially licensed PlayStation® 4 controller is designed to improve performance, comfort and maximize hand use. Use your entire hand with customizable side action buttons—an ergonomic feature that’s an industry first. 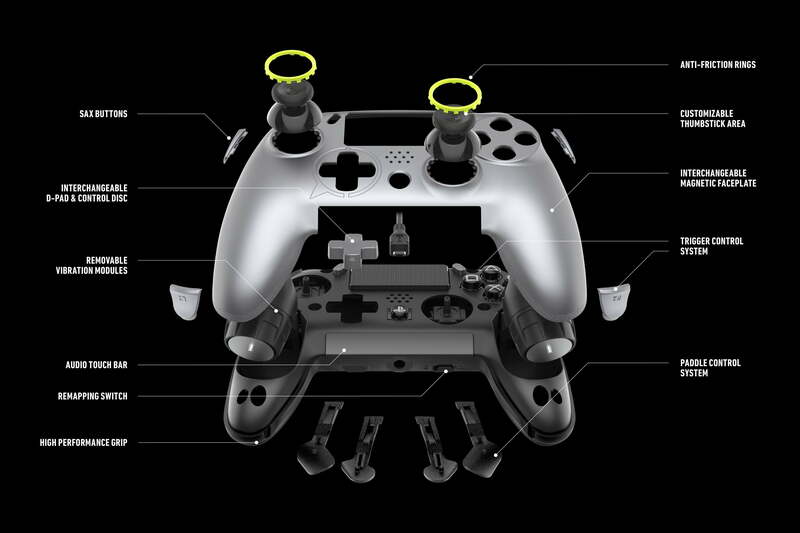 Fine tune your gameplay with adjustable hair triggers, lengths, stops, and tension.